Solzhenitsyn, Alexander. 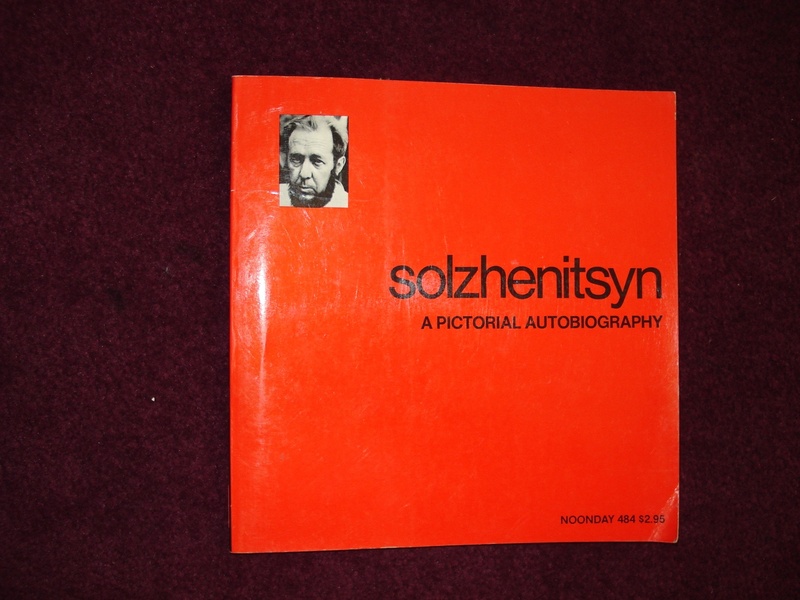 Solzhenitsyn. A Pictorial Biography. Photo available. New York. Farrar, Straus and Giroux. 1974. Octavo. Soft cover. First edition. Illustrated. Fine copy. Somlo, Jean. Pharmaceutical Antiques and Collectibles. With Price Guide. Manchester. Self published. 1970. Octavo. Spiral bound. First edition. Illustrated in color and black & white. Fine copy. Sommers, Christina Hoff. The War Against Boys. How Misguided Feminism is Harming our Young Men. New York. Simon & Schuster. 2000. Octavo. Hardcover. First edition. Fine copy in fine dust jacket (in mylar). Sonnenberg, Ben (ed). Performance & Reality. Essays from Grand Street. New Brunswick. Rutgers University Press. 1989. 373 pps. Octavo. Soft cover. First edition. Fine copy. Sonntag, Linda. Seduction through the Ages. Photo available. London. Hamlyn. 2001. Octavo. Hard cover. First edition. Illustrated in black, white and color. Fine copy in fine dust jacket (in mylar). Sonntag, Linda. Seduction Through the Ages. Photo available. London. Hamlyn. 2001. Octavo. Hardcover. First edition. Illustrated in black, white and color. Important reference work. Fine copy in fine (closed tear on spine edge) dust jacket (in mylar). Sontag, Raymond James & James Sturat Beddie - eds. Nazi - Soviet Relations, 1939-1941. Documents from the Archives of the German Foreign Office. Washington. Dept. of State. 1948. 362 pps. Octavo. Soft cover. First edition. Very good copy. Light shelf wear to edges, browning covers. Soren, David. Kourion. The Search for a Lost Roman City. New York. Anchor. 1988. Octavo. Hardcover. First edition. Illustrated in color and black & white. Fine copy in fine dust jacket (in mylar). Sorensen, Lorin. 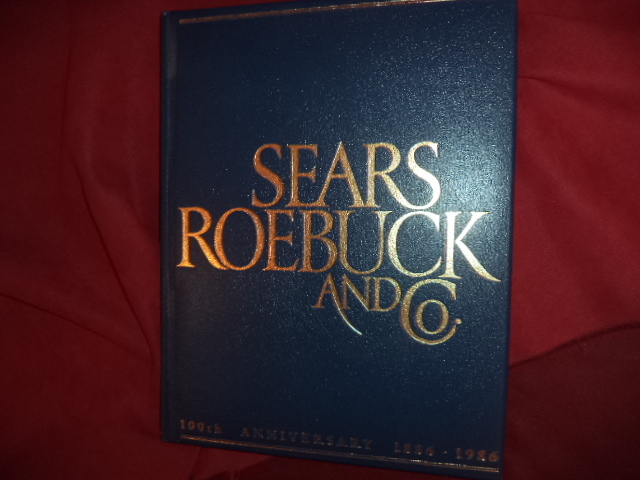 Sears, Roebuck and Co. 100th Anniversary. 1885-1986. Photo available. St. Helena. Self published. 1985. 128 pps. 4to. Gilt decorated hard cover. First edition. Illustrated in black, white and color. Important reference work. Fine copy. Sorensen, Scott & B. Paul Chicoine. Sioux City. A Pictorial History. Photo available. Norfolk. Donning. 1982. 4to. Soft cover. First edition. Illustrated. Important reference work. Fine copy. Sorensen, Thomas. The World War. The Story of American Propaganda. New York. Harper & Row. 1967. Octavo. Hardcover. First edition. Ex-libris. Usual marks. Very good copy in dust jacket. Sorenson, Scott. 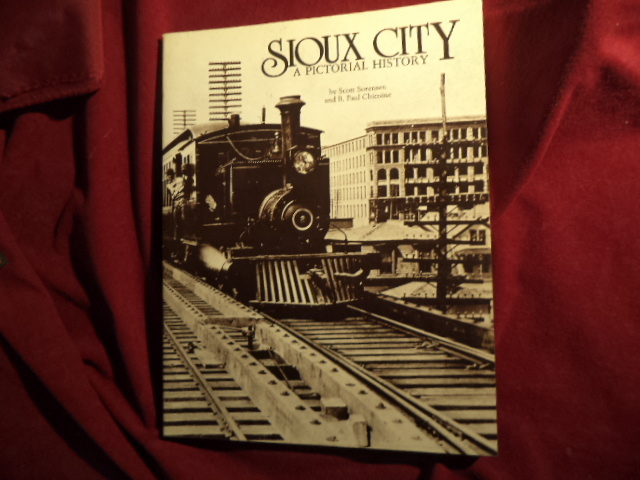 Sioux City. A Pictorial History. Photo available. Norfolk. Donning. 1997. 232 pps. 4to. Soft cover. Second edition. Illustrated. Important reference work. Fine copy (large inscription on end paper). Sornesen, Lorin. 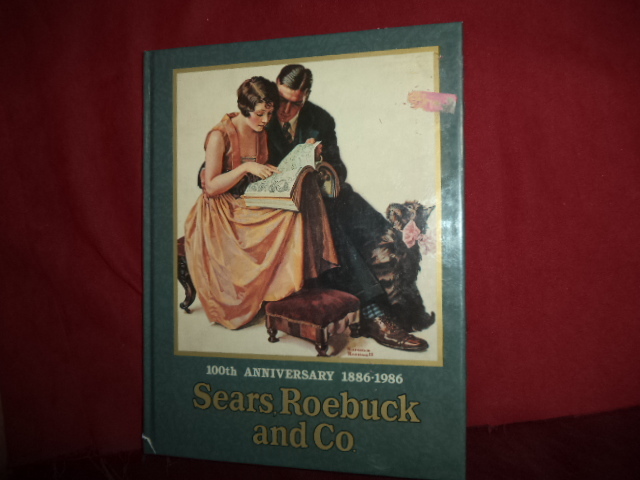 Sears, Roebuck and Co. 100th Anniversary. 1886-1986. Photo available. St. Helena. Silverado Publishing. 1985. 128 pps. 4to. Decorated hard cover. First edition. Illustrated in black, white and color. Important reference work. Fine copy (small split at spine bottom). Soros, George. The Bubble of American Supremacy. Correcting the Misuse of American Power. New York. Public Affairs. 2004. 207 pps. Octavo. Hardcover. Reprint. Fine copy in fine dust jacket (in mylar). Sosnowski, Vivienne. When the Rivers Ran Red. 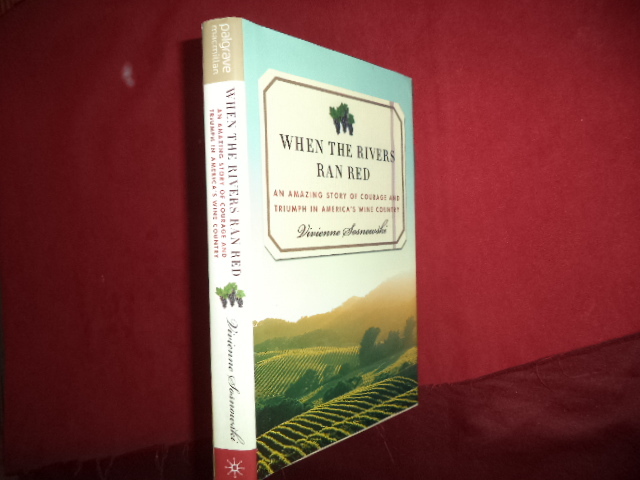 An Amazing Story of Courage and Triumph in America's Wine Country. Photo available. New York. Palgrave Macmillan.. 2009. 22 pps. Octavo. Hardcover. First edition. Full number line. Illustrated. Important reference work. Fine copy in fine dust jacket (in mylar). Souhami, C. New York Illustrated. Photo available. New York. Success Postcard Co. nd. c. 1920. Octavo. Soft cover. First edition. Illustrated. Important reference work. Near fine copy (bottom corners chipped off, small price in ink on end paper). Souhami, Diana. Mrs. Keppel and Her Daughter. New York. St. Martin's Press. 1997. 338 pps. Octavo. Hardcover. First edition. Illustrated. Fine copy in near fine dust jacket (in mylar). Soule, George. Sidney Hillman. Labor Statesman. New York. Macmillan. 1939. Octavo. Hardcover. First edition. Near fine copy (edge sunning to covers). Soustelle, Jacques. Daily Life of the Aztecs. On the Eve of the Spanish Conquest. Stanford. Stanford University Press. 1962. Octavo. Soft cover. Reprint. Fine copy. South Bend Tribune. Elkhart Remembered. Volume I. Photo available. South Bend. South Bend Tribune. 2004. 160 pps. 4to. Decorated hard cover. First edition. Illustrated. Important reference work. Fine copy. Southwick, Marcia. Build with Adobe. Chicago. Sage. 1965. 184 pps. Octavo. Soft cover. First edition. Illustrated. Near fine copy (very light shelf wear). Sova, Dawn B. Encyclopedia of Mistresses. An Under-the-Covers Look at the "Other Women" of History's Most Influential Men. Photo available. Stamford. Longmeadow. 1993. Octavo. Hard cover. First edition. Illustrated. Fine copy in fine dust jacket (in mylar). Spada, James. Barbra. The First Decade. The Films and Career of Barbra Streisand. Secaucus. Citadel Press. 1975. 4to. Hardcover. Reprint. Illustrated. Fine copy. Spada, James. Hepburn. Her Life in Pictures. Garden City. Doubleday. 1984. 4to. Soft cover. First edition. Illustrated. Near fine copy (very light shelf wear).